This is a subjective piece full of selection bias and my own experiences. Take it for what it is worth: one human’s experiences and opinions. It is no more, nor less, than that. It’s also quite inside baseball for many who are not entrenched in the blockchains space. If you find yourself reading this and do not know what I’m talking about, then this post probably wasn’t written with you in mind. Mike Hearn recently wrote a piece which has the bitcoin and blockchain communities all aflutter. For different reasons. If you don’t know what I’m talking about then please see above (tl;dr, this post probably wasn’t written with you in mind). good riddance you jerk. never liked you anyway. bitcoin can't die you jerk. banks are behind this you jerk. I see what you’re up to. As to the first, I personally think it is shameful of many in the bitcoin community to discount Mike’s many contributions to the bitcoin ecosystem over the years simply because he wrote a piece breaking up with bitcoin. Sure it was a very public breakup, but Mike’s a passionate, opinionated, driven guy. Everyone can see that. Did anyone expect differently no matter whether he and bitcoin stayed together, stayed friends with benefits, or broke up? I followed it on both /r/bitcoin and on /r/btc. The difference between the responses was staggering. If one wants to see the humanly decent parts of the bitcoin community, I would encourage them not to look at one of those two subreddits. As to the second, bitcoin has issues. These are issues because bitcoin as both one blockchain and as some applications atop it (the bitcoin currency, among others such as ascribe, open bazaar, etc.) are reaching the thresholds of what its base blockchain can do. But I’ve seen that sentiment many times. Collective decision making was the first big problem which hooked me on this technology. It is a hard, hard problem. And it is only partially an engineering problem. As to the third, well the rest of this post is about that. @dionyziz, wrote an interesting post. It was one of the most level pieces I’ve read and does not really fall into any of the big traps listed above. Indeed, after I read it I was going to leave a comment with a shorter version of this post, but instead of “polluting” his voice with my own, I decided to post here. Also I had more thoughts than I originally guessed I would. His involvement in the bitcoin community was huge and I think we should all appreciate what he did without dismissing his work as many tend to do now that he’s distancing himself from the project. Despite the fun googler bitcoin meetups we’ve had with Mike in Zürich, I want to make sure everyone is aware of his current involvement with 30 large centralized banks including ING, Goldman Sachs, Bank of America, and JP Morgan through his key professional position at R3. It is clear that there is conflict of interest between his blockchain work with these banks, where decentralization is undesired, and the democratized blockchain for the people in modern cryptocurrencies. His blogs and publications must be read critically and keeping this in mind, even if he denies conflict of interest. I agree with the final sentence and believe that everyone’s blogs and publications should be read critically and with the author’s biases in mind. Including my own. Now to my real critique of the quote. Despite the fact that I seriously doubt a single member of the bitcoin community does not know that Mike works for R3, of course it is fine to point it out. Albeit, I want to make sure everyone is aware that R3’s involvement is with more than 30 large banks. Indeed, IIRC the number is 42. Let’s start there with that number. 42. 42 of the largest, most powerful, most driven, most competitive organizations on earth. Each individual bank may or may not care about decentralization, but if R3 is going to effectively navigate the waters they are embarking upon, R3 better understand peer-to-peer communication systems, distributed governance & rulemaking, as well as p2p incentive mechanisms. If they do not they will be unsuccessful. Which is a harder challenge? Wrangling 42 of the most competitive organizations in the world to collaborate on a product you hope to be in the business of selling them for the foreseeable future, or being a bitcoin core developer and accountable to…? Three or four mining pools and four or five wallets/exchanges? And being accountable how…? Twitter and Reddit aren’t exactly known for providing accountability mechanisms. In my experience that statement is not only an assumption, it is patently untrue. I say this based on Eris’ working with many of the same banks as R3 and many of the same bankers (albeit at different levels). Read Alex Batlin’s work (which is on LinkedIn ). Read Simon Taylor’s work. To name a few that are mentally handy. Many within banks who are leading the experiments with this technology do not take the perspective that decentralization is undesired. That is a normative judgment, and an assumption, made from afar. Banks are large, complex organizations. As I have argued in the past, a modern bank is much more decentralized than a small business is. Indeed I would argue that Brian Armstrong likely has much more “centralized” control over what Coinbase does than Brian Moynihan has over what BoA does. Do we claim that Coinbase does not desire decentralization because Brian Armstrong centralizes some decision making in himself as the CEO of his company? If not then I do not see why the counterargument does not hold. At least if we’re being intellectually honest and not just “hating on bankers”. But all that aside, let’s look at what banks are actually doing with this technology rather than what we think they’re doing with it. I find it utterly amusing that folks who have been around the world of bitcoin think that the banks are working on an “altCoin” which will somehow compete with bitcoin. They say smugly to themselves on Twitter and Reddit to a stream of retweets and upvotes. In response I smile and think of the above. Banks don’t need a “coin” whether it’s bitcoin or JPMorganCoin or R3Coin. It wouldn’t actually do anything for them. Sure, many banks are exploring tokenized solutions around specific domains, but this has absolutely nothing to do with currency. Large traditional banks make very little money via currency itself and much more money around creating, trading, administering, and servicing complex financial assets. If what a bank is doing with blockchain technology competes with a public blockchain ecosystem (and I do not think it does) it is much more likely to be competing with ethereum’s than it is bitcoin’s. Bitcoin’s network simply does not have the complex logic which is required to provide the step change necessary for systems to be taken to production. And before the responses come in about “well this will be fixed by…” a magic wand? I will be quick to respond that if the block size “debate” is any indication of bitcoin’s ability to upgrade itself I do not hold hope for massive improvements in its VM any time soon. Shameless plug, the Eris blockchain application platform runs all these blockchains just fine. Let’s move to the second bullet point. Should the regulatory environment change with respect to cryptocurrencies, and should cryptocurrencies continue to gain adoption, I would not be surprised if some bankers open up services around cryptocurrencies. Let us imagine that world for a second. And if some get their druthers it is a world which will happen. Let us then ask ourselves what would be the difference between Fidor and Coinbase in such a world? Would they provide differentiated services? I will go on the record and say that in such a world they are much more likely to be direct competitors of one another than not. Why? Well, that brings us to the third bullet point. Cryptocurrencies, even if we accept the “be your own bank line”, do not do away with the need for financial services that banks routinely provide. This is a very important point and one that is under talked about. And both challenger banks and large bitcoin companies will converge around providing consumer facing financial services for millennials. If one looks closely at, and abstracts the methodology of delivering, the service suite being provided by the large bitcoin companies and the small challenger banks, one would have a hard time finding the points of differentiation. Save for the fact that one goes all in on a decentralized cryptocurrency of course – which ultimately is simply a methodology of delivering services. In other words, I think it’s safe to say that as Coinbase continues to grow vis a vis the number of downloads of bitcoin-qt that we are moving into a world of #reintermediation not #disintermediation. These are two independent vectors here. On the one hand, what traditional banks are doing with this technology is not about moving tokens of endogenous value between nodes on a network. On the other hand, large bitcoin companies are looking more and more like small banks by the day. This gets us to my final point of response. 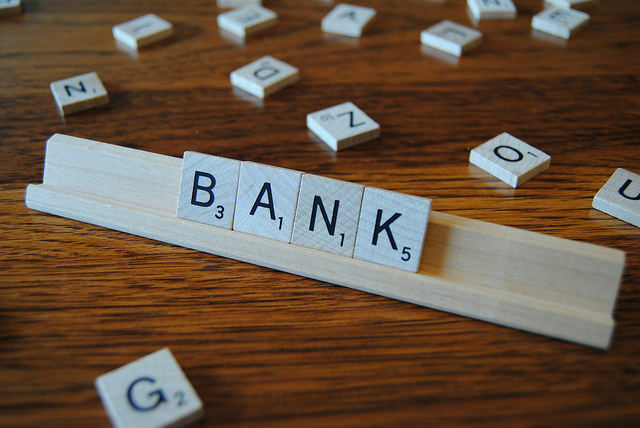 There is a massive difference between a traditional bank and a challenger bank. Not only in customer base, but also in business mix. Challenger banks are largely focused on winning the consumer markets. This is what, in the bank world, is called a retail bank. Traditional, large banks, sure they have consumer accounts, but that is not where they make most of their money. They make money by providing financial services (which is much more than simply moving currencies around) to large corporations. Within a traditional large bank, providing consumer facing depository services is simply a loss leader. Of course it is fair to critique that, but if one wants to critique it one should come at the critique from a point of knowledge rather than a point of ignorance. My point here, I guess, is that if the bitcoin community feels it has competition from the banking sector, that competition is coming from challenger banks, not the large traditional banks the community so loves to “hate on”. Perhaps instead of wringing its hands about what JP Morgan does with blockchain it should worry about what Fidor is doing (:heart: Fidor, by the way, a fellow Anthemis portfolio company). Some will argue, well, if we move to a world where cryptocurrencies dominate over fiat currencies then the banks can’t do what they’re currently doing around money creation and fractional reserve banking. And I would call that person a partial ignoramus. Look at the many bitcoin exchange failure who admitted in public that they did do fractional reserve “banking”. And that’s simply what we know of. It is not only possible, it has happened. Repeatedly. The central point of this piece is basically to say this. Calm down bitcoin. It’s gonna be alright. No single banker I’ve met, and I’ve met and work with plenty, has ever said to me that they were in competition with bitcoin. Indeed, most find this idea laughable. They have much bigger, more immediate problems to solve. Problems which the raw blockchain and smart contract technology is better suited to help them with than any one application built on the technological core. And. Now. For some be happy music.